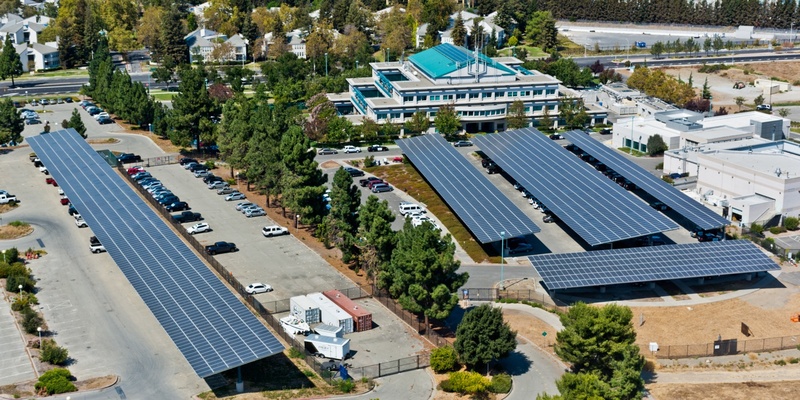 SAN FRANCISCO, CA – November 13, 2018 – The University of California, Santa Cruz (UCSC) has partnered with ForeFront Power to develop a 2 megawatt (MW) solar parking canopy structure plus energy storage system that will provide clean, reliable electricity to the campus over a 20-year term. UCSC procured renewable energy with ForeFront Power through a streamlined procurement process via School Project for Utility Rate Reduction (SPURR). FRESNO, CALIFORNIA – July 26, 2018 – ForeFront Power and Fresno Unified School District (“Fresno USD”) are thrilled to announce the groundbreaking of 8.2 megawatts (MW) of solar parking canopy systems across 8 District facilities. The portfolio of projects, which includes intelligent energy storage solutions provided by Stem Inc., is expected to save Fresno USD over $27 million over 20 years. SAN FRANCISCO, CALIFORNIA – May 10, 2018 – ForeFront Power is thrilled to announce that the renewable energy developer will build the first community solar project for PG&E’s Regional Renewable Choice program. The program allows PG&E customers, including those who rent or cannot install on-site solar, the option of purchasing up to 100 percent renewable energy from an off-site location. BAKERSFIELD, CALIFORNIA – March 13, 2018 – ForeFront Power and Bakersfield City School District (BCSD) are pleased to announce an expanded solar energy partnership that will see 2.3 megawatts (MW) of solar photovoltaic capacity installed across 10 schools. This latest deal builds upon an existing 1.7 MW of capacity across five BCSD schools installed in 2017, and this expansion will save the District approximately $4 million over 20 years. SAN FRANCISCO, CA – November 14, 2017 – ForeFront Power and the School Project for Utility Rate Reduction (SPURR) announce a partnership that offers California schools, colleges, and other public agencies a streamlined path to solar and energy storage solutions. SPURR selected ForeFront Power through a state-wide, competitive Request for Proposal process.